The workshop was inspired by the psycho geographic method, developed by the organisation the Situationist International, emerging from a fusion of several artistic groups. Being active from 1957 to 1972, the organisation stated that it was the people using the city that created the city. Everyday life became their centre of attention, wanting to understand how people gave meaning to the city. The Situationists explored the potentials not visible in the material structures of the city by studying the emotional and behavioural effects of the geographical layout. The workshop is also inspired by the book Soft City by Jonathan Raban. Here, Raban states that our individual town is constructed by personal experiences and memories – that is, my town is different from yours! It’s the associations and relations to places that create security and identity in town – more than physical street lights and signs. From this perspective the city or town can be seen as a stage, a unique and private reality constructed by personal trajectories and narratives. If we want to get to know a town and its potential, we have to dig into the social texture of this particular town. Participation is taking part in the construction of reality. For two days a group of Dale citizens were invited to re-construct or co-construct their individual townscapes. They contributed to mappings of Dale that were founded in personal lives and experiences instead of functions, structures and institutions. There is not only one version of Dale but hundreds of versions! 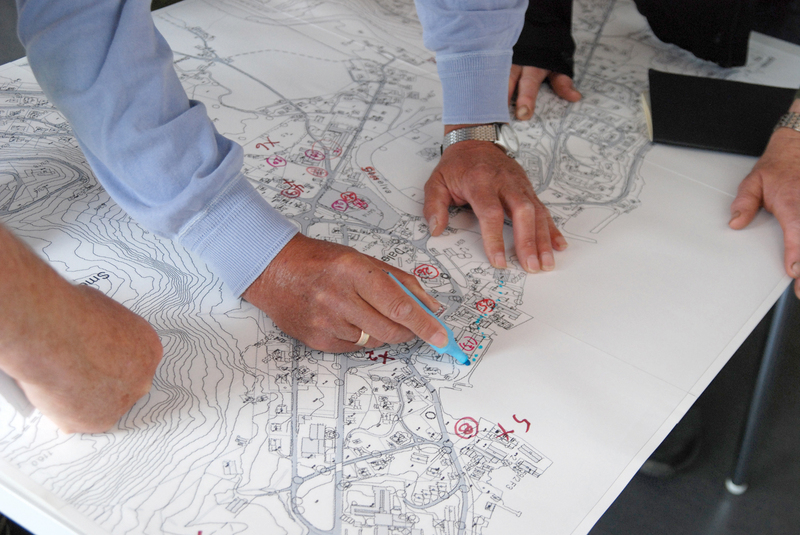 Exploring and including the many individual versions of the town creates a more valid and ‘thick’ image of Dale, how the town works and what it means to its citizens, its creators – informing and qualifying town planning and designing products. Relational aesthetics is an art form where the social or relational exchange is the primary centre of attention. The psycho geographic workshop in Dale is to be understood in these terms; the goal of the workshop was to collect and weave together the elders’ relations to the town. The workshop presented an alternative understanding of the experienced qualities of Dale. 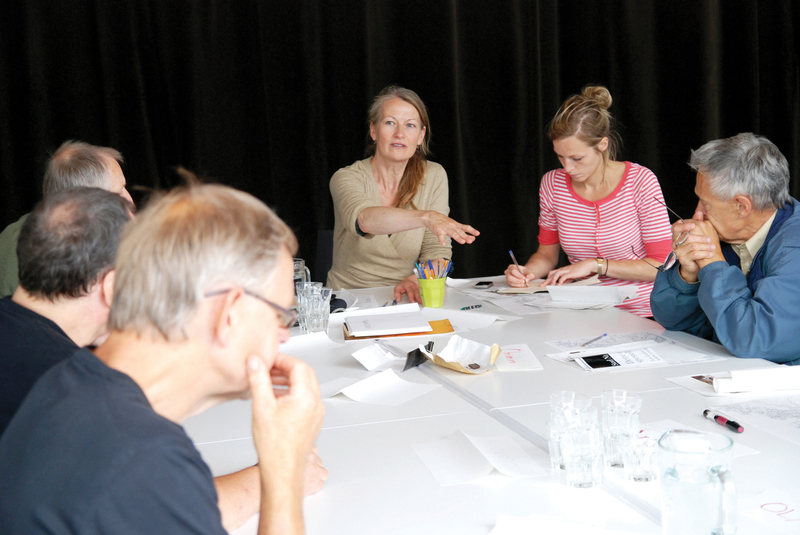 The workshop can be seen as a user orientated exploration of the subjective mindscape of the elderly citizens, a bottom-up approach to understanding town life. The workshop underlines the importance of subjective registrations, and how these can be carried out and later used in different ways. The map- ping method takes point of departure in people’s usage and comprehension of the town, rather than the physical look of it. By inviting the elders to describe their town and living environment in different terms and alternative aspects, the ‘soft’ version of Dale turns up. By visualizing and physically mapping meanings, memories and sensory experiences we got an insight into the plastic nature of Dale exposing the potential for developing living spaces that matters – closely related to the participants and people living in this place. The shift between individual, pair and group tasks, between thinking, sharing, discussing, agreeing, walking and sensing was all supporting active participation, strengthening the social texture of the town. What if the subjective side of climatic qualities were taken into account while designing and planning the infrastructure of the town? 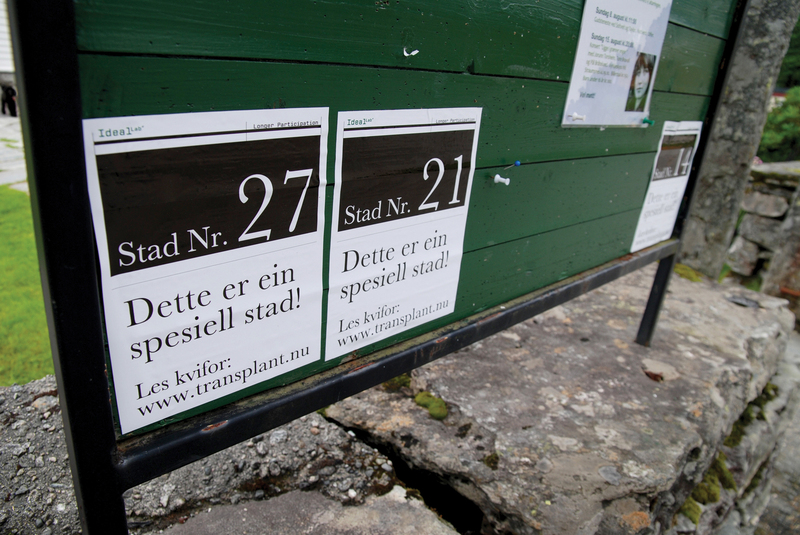 What if more personal stories were collected and where put on signs or audio stations all over town? Layers of meaning would become visible; a physical expression of the invisible social relations Dale is made of. The informal soft side of town would be tangible and laid open inviting identification and ownership. Would it create a more human town? A blog was created to assemble the results from the workshop and allow other participants to contribute with personal stories.